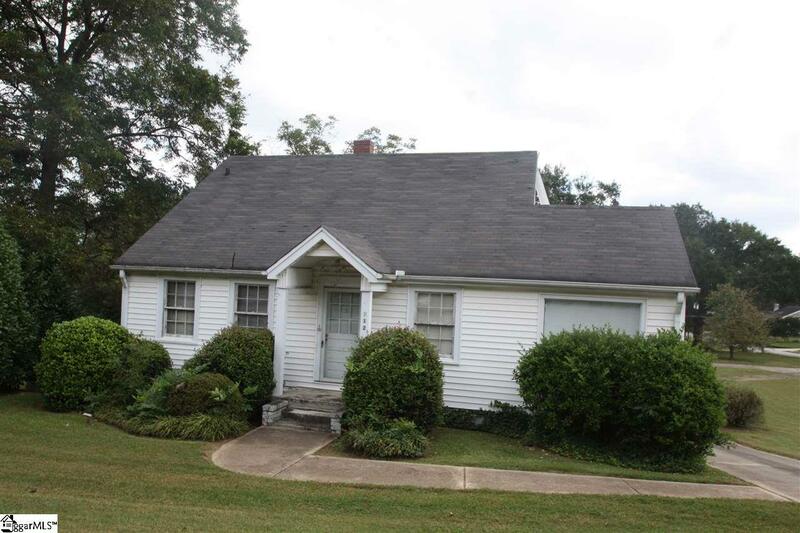 GREER CITY LIMITS STURDY BUNGALOW HOME WITH .78 ACRES Commercial possibilities with this property with its wonderful location and yesteryear charm. 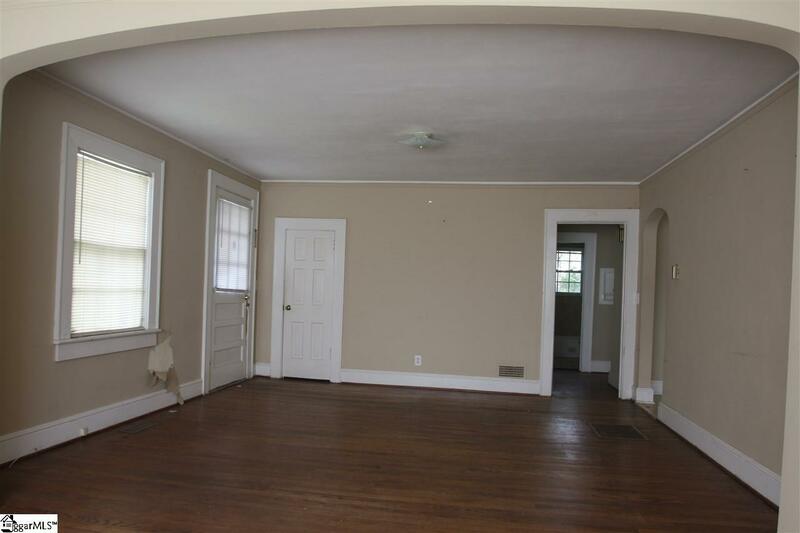 Walking in you are greeted by a large living room with wonderful hardwood floors and to the right is a formal dining room. 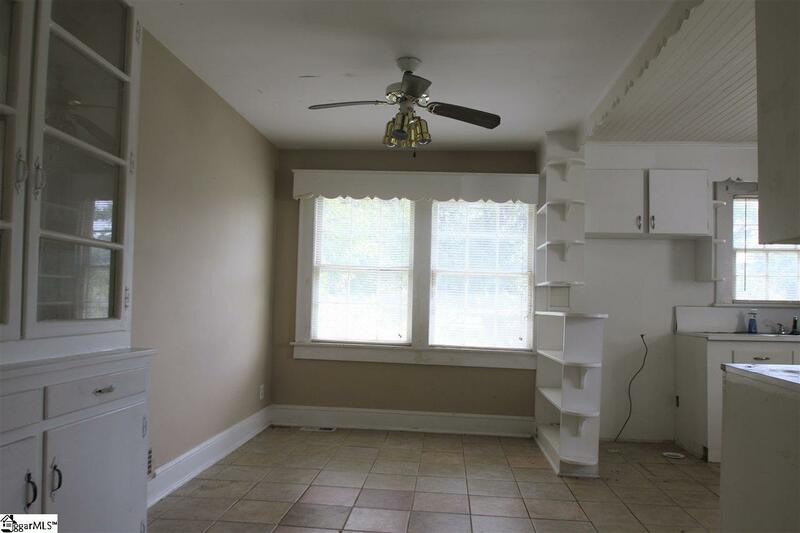 The Eat-In Kitchen complete with built in cabinet along with tile floors. 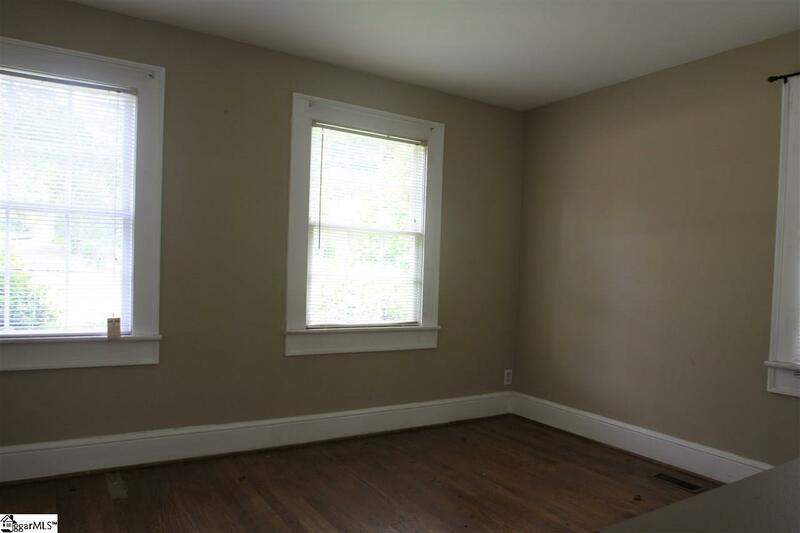 Two large bedrooms with hardwood floors, one bedroom has built in bookcase and desk area. There is a full walk-out basement that includes the one-car garage. There is an additional detached double garage at the back of the property.Notice the large side yards of this home. Location, Location, Location! Convenient to Highway 29 and downtown Greer, shopping and restaurants. Call today for your private showing!